Now that the dust has settled from the magnificent The Press Christchurch Writers Festival 2012 (okay, maybe that's not the best turn of phrase for a Christchurch festival), it's time to look ahead to the next tasty morsel on the local menu for fans of crime, mystery, and thriller fiction. 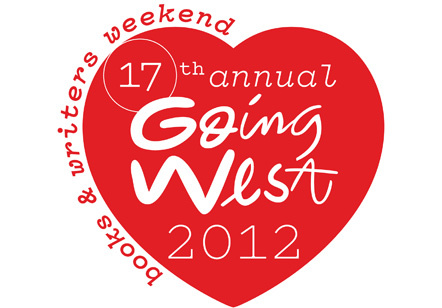 In a little over a week, the terrific Going West Festival's Books and Writers Weekend will kick-off, showcasing a wide variety of fantastic writers of all types, from legendary New Zealand songwriter Dave Dobbyn to poet laureate Ian Wedde to human rights lawyer and activist Marianne Elliott, and much, much more. Paul Thomas, journalist, sports biographer and novelist brings maverick, loner cop, Detective Sergeant Tito Ihaka back from the wilderness. The Ihaka trilogy exploded onto the crime fiction scene in 1994 and then disappeared; 'not planned – just the way it turned out.' Death on Demand, released this year, is a rollicking read. To interrogate the return, Craig Sisterson, lawyer‐turned‐journalist and crime fiction aficionado, will join Paul on stage. Long unanswered questions may be asked. Paul Thomas is the author of seven novels. His latest, Death on Demand, is the fourth featuring Maori detective Tito Ihaka. The earlier books, which have been widely published internationally and translated into several languages, were recently re‐published as The Ihaka Trilogy. Inside Dope won the Crime Writers’ Association of Australia’s inaugural Ned Kelly Award for best crime novel of the year. He has also written a book of short stories and nine books on sport, including collaborations with All Black greats Sir John Kirwan and Tana Umaga. His weekly columns appear in the New Zealand Listener and the New Zealand Herald. Since devouring Hardy Boys novels and scribbling Santa‐inspired detective stories at primary school in Nelson, lawyer turned writer, reviewer, and columnist Craig Sisterson has been fascinated by crime writing. Now Deputy Editor of NZLawyer magazine, murder and mystery remains Craig’s mistress: he’s interviewed the biggest names in crime writing for publications including the New Zealand Listener, New Zealand Herald, and Sunday Star‐Times; cast his reviewers eye over crime novels for several newspapers, magazines, and websites here and overseas; and is the creator and Judging Convenor for the Ngaio Marsh Award for Best Crime Novel. He blogs about crime writing at http://kiwicrime.blogspot.com. So yeah, sorry, a bit of blatant self-promotion there too. But it should be a terrific session - Paul is a great writer and a very interesting man to talk with and listen to. I'm sure the audeince will really enjoy it, so if you are anywhere near Auckland next weekend, I certainly hope you will come and join us at the festival. As those who went to the Christchurch Writers Festival can attest, it's really great to dive into such a creative and passionate atmosphere, surrounded by like-minded people who love books, words, and writing.